Successfully Grow your Private Practice! Learn new nutrition counseling skills with intuitive eating, eating disorder recovery, and body image education. The Pursuing Private Practice® for Intuitive Eating course is a course for dietitians and nutritionists who want to grow their private practice, get more clients, and do work they truly love to do! Looking just to improve your skills with Intuitive Eating to Help your Clients? 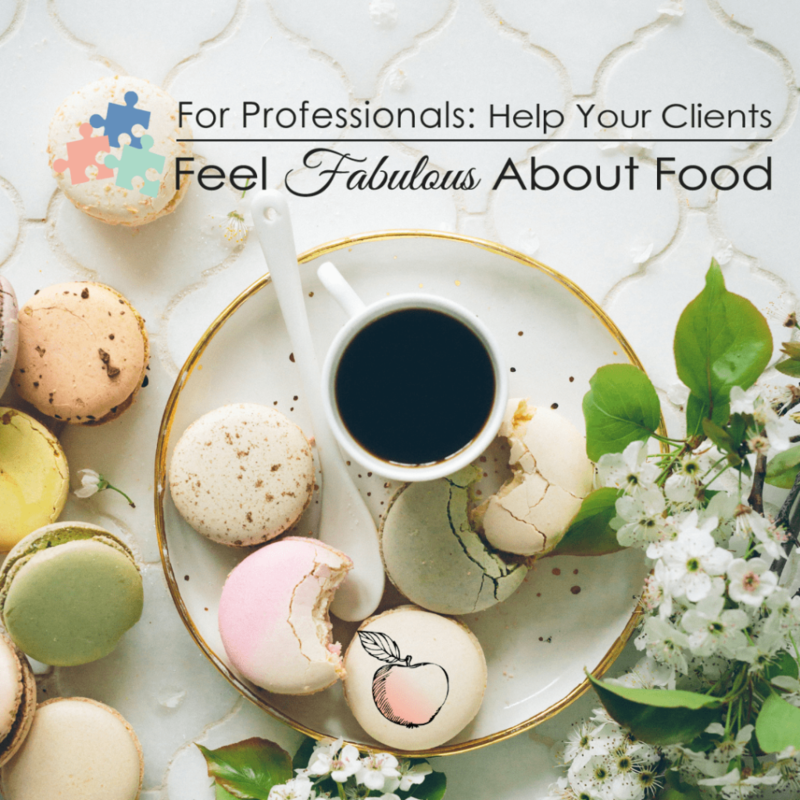 For Professionals: Help Your Clients Feel Fabulous About Food course is for professionals to learn nutrition counseling strategies about intuitive eating and eating disorder recovery. Celebrating Nutrition Month in March! Save $100 if you register by March, 31 2019 - Pay only $297 or 2 x $165. Hi, I’m Jennifer McGurk, a Certified Eating Disorders Registered Dietitian, and passionate about helping clients feel fabulous about food. I also love to see healthcare professionals succeed in business doing this important work to make this world a better place. I educate dietitians and healthcare professionals on how to grow the private practice they have always wanted. You can add on a supervision package as well if you want individual support to help you move forward at a faster pace. Reach out to book complimentary consult to determine your next best steps. Don't start your private practice without doing PPP first - you won't regret it! Jennifer walks you through essentials like understanding why you want to do private practice and how you want to practice (aka figuring out your niche). Her checklists are so helpful for getting organized, something I can sometimes struggle with when the stakes feel high. Most importantly, she provided guidance on figuring out how to set my rates, something I was really floundering with! PPP provided me with a great foundation to start my private practice. It was helpful to have the information presented in many ways through group calls, handouts, and the video modules. Jennifer's attention to detail, support, and overall guiding compassion truly sets this program apart from other "get started in private practice" programs. PPP was such a great investment. The best part of the PPP package is the private facebook community and monthly follow-ups/check-in/workshops. The group is filled with RDs at all stages of private practice and are able to provide their insight, and the ability to ask questions to such a knowledgeable group is invaluable. 10/10 would recommend PPP with Jennifer.